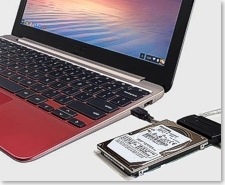 Disk-Image . . $38 repair or replace your REP hard drive today. to replace your REP system. Garry in Queensland, Australia said "So good to have a functioning HDD for music and NAV working again. Very happy." Check the model letters (REP, RHW, etc) by the AUX jack on your radio. Every system is different. Click your model on the menu-bar above. Compatibility: The REP 30GB or 40GB Disk-Images are compatible with any REP model year. These Disk-Images will fit on your existing 30GB Samsung or a 40GB IDE Toshiba, Samsung, Hitachi hard drive. Download 30 or 40GB Disk-Image. No Refunds, but you can apply the $38 to order a REP HDD on this page. If you pay with a Credit Card, a page will pop up with a RETURN TO MERCHANT link. Click RETURN TO MERCHANT for REP-Part01.rar, and the Imaging Software. A USB-IDE adaptor is available on Amazon and ebay web sites. This is an example of an inexpensive adaptor on Amazon UK USB-IDE Adaptor. If your MyGig hard drive has failed or the data is corrupt, a pre-loaded MyGig REP replacement hard drive is the easiest repair available. Hitachi and Toshiba original equipment hard drives are used for the REP system.